I've had the worst month on MLN here lately. Many of my closest friends on MLN have deleted me and blocked me. Any advice on what to do about this? I need some advice. Did you use ambush mods? Or lots of BCD's? Or spam them? Or thought to be inactive? maybe someone did a block click deal? Teddy_R1 wrote: Did you use ambush mods? Or lots of BCD's? Or spam them? Or thought to be inactive? Mr.EPIC wrote: maybe someone did a block click deal? Yeah, maybe you're right. Some of the ranks may have gotten to their heads. Hi! I don't know why that would happen. Being Rank 9, I hate to reject FR's, especially from lower-ranked users for that very reason. I just don't have much space on my list anymore. Crackers5 wrote: Hi! I don't know why that would happen. Being Rank 9, I hate to reject FR's, especially from lower-ranked users for that very reason. I just don't have much space on my list anymore. Yep. Thanks for the help. hey! im on your BFF list? oh, and do you want to be friends on MLN? Sambo_Bricks wrote: Yes! Definately on MLN! ok *goes to your page* ok FL sent! Here's some advice: Go to some pages that are around your rank, and send them FRs. 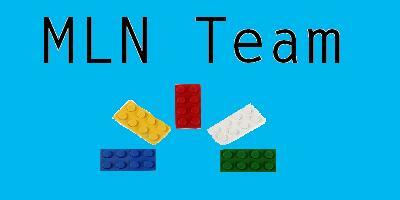 You can also contact all the people around your rank on MLN team and ask to add you on MLN. If you send me a FR, I'll add you too! Sambo_Bricks wrote: I've had the worst month on MLN here lately. Many of my closest friends on MLN have deleted me and blocked me. Any advice on what to do about this? I need some advice. No offense, but if they removed you, just forget about 'em. Your real friends wouldn't do that to ya. I know it's hard to move on from those you meet online, sometimes, but you just gotta do it. I'll add you right now, and I'm sure plenty of us will.